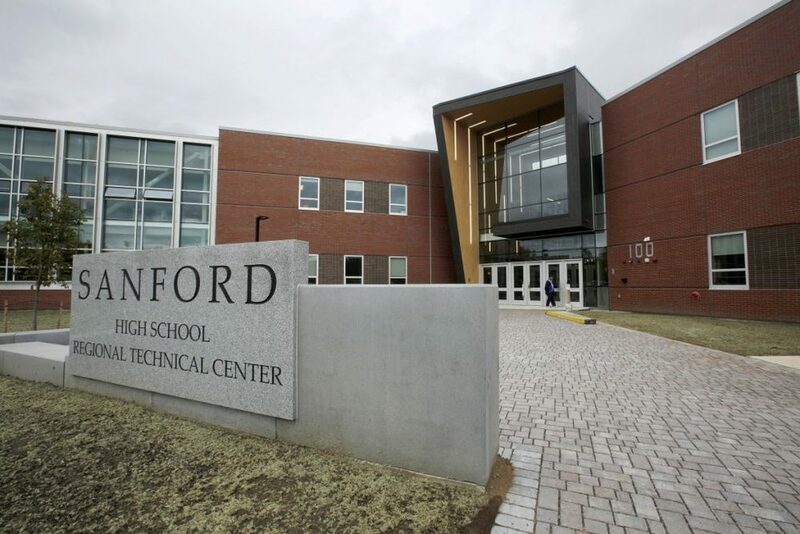 Sanford High School & Technical Center Open for Business! New SHS and SRTC OPENS! It's been about two and half years since the ground breaking ceremony for the new Sanford High School and Technical Center and last Wednesday we finally were able to welcome students to the new school! Busses starting arriving at around 7:00 AM as staff members waited to greet students entering the building. Several reporters from newspapers and news stations were also there to capture the excitement on the faces of our students as they entered the school. It was "magical" day as students were handed maps to help guide them around the school. At 10:00 a special convocation was held at the new Alumni Stadium for all students. Construction will continue throughout the fall and early spring in two sections of the building. The hope is that the performing arts center will be available for our winter concerts in December.